Movie Review: Godha, It Is Both Entertaining And Empowering! The director of the film Godha, Basil Joseph had said in many of the promotional activities that the movie gives more importance to it’s female lead than the male lead and I happily identified it was true! The entire film is constructed on the basement of a girl’s struggle and her determination to fulfill her wrestling dreams. The story is said in a humorous way rather than making it dramatic which helps Godha escape comparisons with Dangal or Sultan. 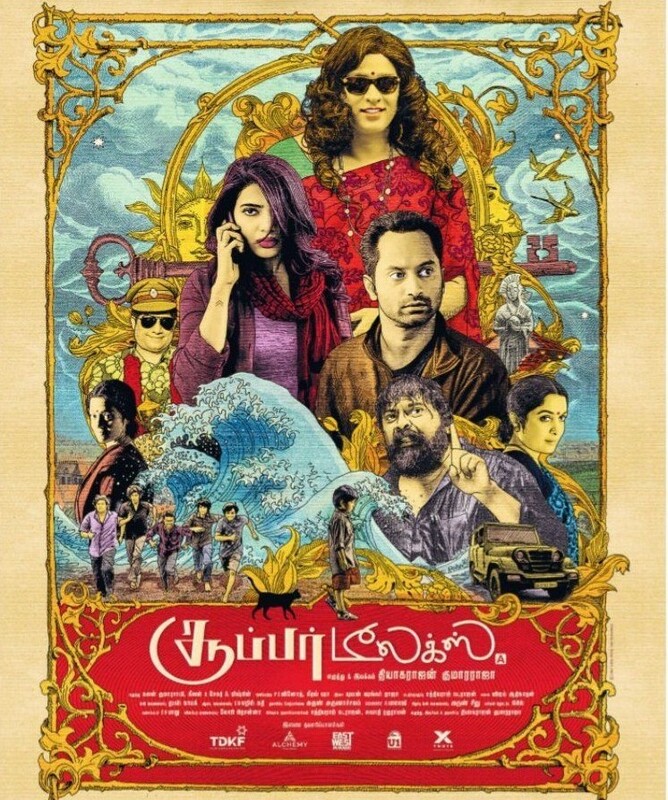 Like in the first film, Kunjiramayanam, of the director, here also the plot is based in a fictional region, Kannadikkal. Kannadikkal had achieved great glory in wrestling but it is now the past. Captain (Renji Panicker) wants to retain the wrestling legacy of the land and is stubborn enough to stop anyone who opposes him. The current generation finds it a waste of time to follow the wrestling culture, that includes Anjaneya Das (Tovino Thomas), Captain’s son. At a particular circumstance Adithi Singh (Wamiqa Gabbi), a trained wrestler from Punjab reaches Kannadikkal and Captain regains his spirit in training her and taking her to tournaments. The first half of the two hour long film takes it’s time to introduce the characters and the substantial content is narrated in the second half. Basil Joseph has done a very good work, with Godha he is able to entertain the audience and at the same time put out some valuable comments on women empowerment. Rakesh Mantodi, the writer of the film ideally dealt with the conflicts a girl would face in her journey to become something in the sports field. My favorite part of the film was when Captain speaks to Das about Adithi, that scene perfectly conveyed that if you want to be in a relationship with an ambitious woman, grow to her level and don’t try to pull her down. 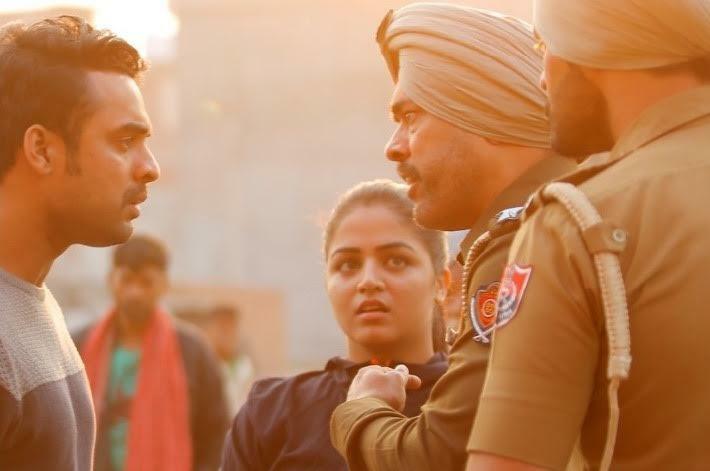 Another commendable element of the film is that it used the required languages with authenticity, a little bit of Punjabi, Hindi and Tamil were used without saturating them. Also the landscapes were shot beautifully by Vishnu Sarma, the ethnicity of Punjab and Kerala were captured in all it’s beauty. Getting the wrestling matches shot perfectly must have also been a tough task and on screen it looks good. The film uses music as a major tool throughout the film and Shaan Rahman’s tunes were fresh and apt for the situations. Abhinav Sunder Nayak’s cuts were good, the film contains only what was necessary and the wrestling matches were cut perfectly too. The stunt choreography was credited to both Stunner Sam and Basil Joseph, the wrestling moves were impressive. READ Vineeth Sreenivasan - The idol of iGen Mollywood aspirants. The debutante Wamiqa Gabbi stands out in the film. She had perfected the role with some amazing wrestling moves and the girl can give a stellar performance too. She has a monologue in the film where the the camera is set in a close up and that one scene is enough to assure that this girl can grow up to be a very good actress. Renji Panicker doesn’t stay back. He, as Captain, looks tough and muscular and at moments where we see a softer side of Captain, he plays them subtly and beautifully. Only this man has got a solid intro block in and he just nailed it! Tovino Thomas, first of all deserves appreciation for choosing to do this film. He doesn’t have much to perform but has worked splendidly on his physique. Also he has proved that he is an actor who can slip into any characters’ shoes as the actor has played a shy, chocolaty village boy who gets serious and admirable down the line. Parvathi as Captain’ wife had delivered a good performance. Other supporting cast including Aju Varghese has done what they do the best. ‘People don’t want a Sakshi Malik in their own houses until she has won an Olympic gold medal’, this is a line from Adithi’s monologue and this is what the film is trying to say. Godha has a predictable script with some good humor but the major attraction of the film is how it has dealt with the heroine. The movie will surely impress and entertain audience of all ages. Godha doesn’t have high end wrestling matches and drama but whatever is in it is pretty good. Godha is a film that is simple, lighthearted at the same time empowering. The family audience can definitely choose Godha in the vacation season.